Mexico is a beautiful country to visit. However, we’re bringing you the lowdown of travel to Tijuana. TJ (as it is more commonly known among non-Mexicans) is a city near the border. It has become a favorite destination for those who want to cross the border and see Mexico. Mexico tourism gets a lot of tourists from the areas near the border. As with all the other destinations, Tijuana has its pros and cons. For the pros: it is close to the border and there are a lot of wonderful restaurants there. Cons: TJ can become quite dangerous for travelers, especially at night. Tijuana, Mexico is part of the Tijuana-San Diego metropolitan area. The Gold Coast is considered the municipal, cultural and commercial center of Tijuana. Over fifty million people cross the border between Tijuana and San Diego. That’s how important Tijuana is. It serves as the gateway to Mexico and the United States. The city has a strong influence on Mexican culture. Tijuana features several cultural offerings in the form of entertainment and performance arts. In terms of art, you can find great graffiti art strewn all across the city’s walls. It is also home of Nortec music—a fusion of northern Mexican music and techno. 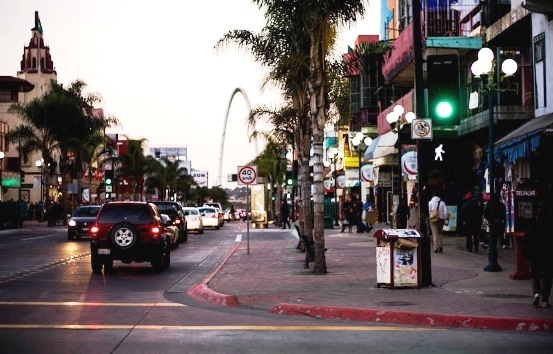 Aside from the rich culture and the beautiful beaches, Tijuana appeals to tourists, especially the first-timers, because of its shopping options. Doing a lot of walking on the streets—it’s better to take a cab to take you to your destination. Crime is a common occurrence out in the streets of Tijuana. Avoid dark alleys and empty streets when you can. If you ever need to do some walking, only do it in the daytime. Bringing a lot of cash—this is not to say that Tijuana is crawling with thieves. But petty theft still remains a rampant crime there. So just bring enough cash with you for your trip. Staying in motels and hostels—hotels in Tijuana, Mexico is relatively inexpensive. They also offer a safe haven for tourists who need to stay in the city overnight. You get a more comfortable night’s stay if you choose to stay in a hotel. Not being mindful of your things—Tijuana, like any other place, has its fair share of pickpockets. So be mindful of your stuff, especially your wallet and phone. Leave home things you don’t need and only bring the essentials. Trusting sweet-talking strangers—there are con artists in Tijuana who will offer to take you someplace. Now we’re not saying that all locals who offer you help will con you or rip you off. Just practice a little prudence when dealing with people. Drinking from the tap if you can—buy a bottled water; it’s much safer. Your stomach might not be accustomed to the water in Tijuana. You don’t want to get sick when you’re traveling. Paying the first price offered—sellers and vendors know you’re a tourist and will jack the price up. Haggle and negotiate. You’ll find that they will lower their initial offering if you try negotiating with them. Remember to be nice when negotiating. Prices go down more when you’re firm but nice when negotiating. With these tips, we hope that you will have a safe and enjoyable trip to Tijuana. It’s a beautiful city with a lot of character. There is actually a lot to do and see in Tijuana. When traveling there you need to read up on all the information you can get about the city. After reading this article, read up on guidebooks and online travel forum. You only need to exercise caution when you travel to Tijuana. Heed these tips, and you should be fine. The dangers and risks are out there, but you can actually avoid having these bad things happen to you. Find out more about Tijuana and hopefully you’ll consider it as your next travel destination.